Hey that is a rotten metaphor, who the F*** puts their ice cream in a micro wave ? Well I do folks – those small individual pots of Haggen Daz or Ben and Jerrys that I like to scoff in front of the TV – straight out of the freezer they are just too cold and I haven’t got the patience to leave them out long enough to melt just a little – so one minute on « defrost » in the microwave, just to thaw them out a little. So, here am I trying to enter into the spirit of things for this, the last big festive hurdle of the year. Off to the « party » shop to buy few fireworks and bangers for tonight – I know it is still thick fog outside, but I had this dream of setting of huge rockets into the night sky – make a wish on a rocket, light the blue touch paper and then send it skywards before it explodes into a mass of mulitcoloured stars that fall back to earth – each star is part of my wish or my dream that I want to share with the world. The manager comes over and explains that due to the current state of emergency in France, the sale of fireworks has been forbidden and under the state of emergency it is forbidden to let fireworks off from 26th December to 2nd January. “I don’t want to blow anyone up” I persist. We had all this last year – gangs of youths buying massive rockets and firing them at the police. No matter, my contribution to the party will be musical – my new year’s playlist. Looking for « old » songs with a new year’s theme. That U2 classic « New Year’s Day » , so when the adults are all drunk in the wee small hours, they can cavort around again pretending they are teenagers – much to the embarassment and disgust of their kids. I know there was also an ABBA song entitled « Happy New Year » – Oh dear, I’m not doing very well on this am I. What about a few tracks from those we have lost ? Bowie, Prince, Leonard Cohen … why not a blast of Debbie Reynolds ? Something new ????? I’l leave that for the kids. I can’t think of any one single song this year that has made a lasting impression on me – come to think of it, I can’t really remeber any of this year’s songs. The first signs of dementia ? Well here’s one that got in the charts and I sing with the band – « Counting Stars » by One Republic . Forget the « blues » – I swore that this would be the year I stopped singing the blues. Yeah, one or two blues tunes in the band répertoire, but no more. The blues is just so boring to listen to. I defy anyone to listen to more than three Robert Johnson songs without wanting to slit their wrists. I supose at relaunched the blues for my generation was when Eric Clapton went unplugged in 1992 and of course there was always the nostalgia around the Blues Brothers. I guess we all need somone to love, so I’ll at least have that one. Even at 51, I’ve got to stay young. Strange though, as I get older, I feel younger and it’s all those younger than me who tell me what to do. So to this play list I will also add. « My Generation » by the Who. 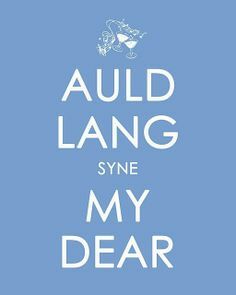 « Auld Lang syne » – and I don’t know what the words mean, but it is traditional. Posted in Ageing, Alcohol, Culture, Death, deepest france, France, Fun, Life, Music, photography, Rock 'n' Roll, Uncategorized and tagged fireworks, music, New Year, party, State of Emergency; Auld Lang syne. Bookmark the permalink.